Simply put, Carfax Canada supplies the most comprehensive vehicle history report available to Canadian consumers. The fact that the vehicle you are interested in comes with a Carfax Canada report means that you can be confident in the integrity of both the vehicle and St. James Volkswagen, thereby allowing you to buy with confidence. Look for the Carfax Canada logo while browsing the St. James Volkswagen vehicle inventory to view the CarFax Canada report on that vehicle. 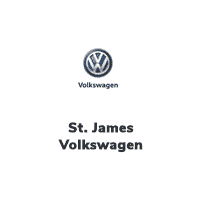 If the vehicle you’re interested in does not have a report online, please contact the St. James Volkswagen sales team with the stock number of the vehicle you are interested in and they will gladly provide the report.